The RIC Group empower mobile workers with the appropriate tools for rapid decision making, faster turnaround, flexibility and improved productivity. The RIC Group deliver the right solution which increases insight, collaboration and awareness.​Our supply chain suite for SAP Business One is the only choice for a growing small to mid-sized business, which includes warehouse management solutions, transportation solutions and EDI. Our solutions are feature rich and allow flexibility and scalability without modifications. 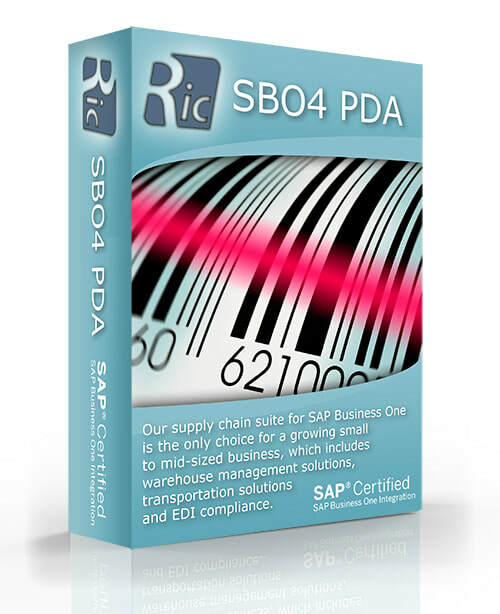 ​The RIC Groups warehouse management system fully integrates to SAP Business One. With the combination of SAP Business One and The RIC Groups WMS, users will dramatically improve accuracy, process orders faster and improve customer satisfaction.